The controllable detailed plan for 4 scenery towns with different characteristics including Gaofeng District of Nandao Farm, Tianya Town, Yucai Town and Phoenix Town has been released by the Sanya Government. The Gaofeng District of Nandao Farm, which covers a total planning area of 380 hectares, is scheduled to be built into a tourism and agricultural services base and an eco-friendly tropical resort town with specific mountainous characteristics. 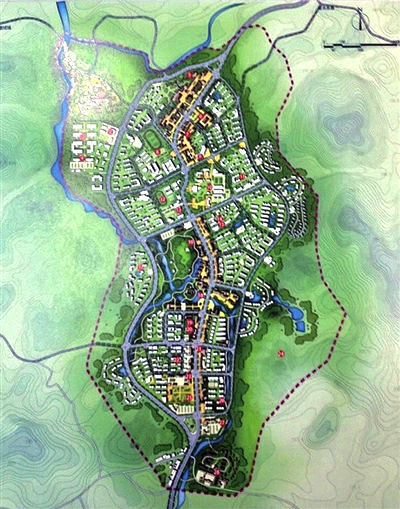 Tianya Town will be built into a tourism service base comprised of tourism supporting facilities, public services, shopping and catering as well as leisure residential communities. The total planning area is 222.5 hectares. As a typical town of the Li & Miao minority, Yucai Town has a rich Li & Miao cultural background. It will be built into a display area of Li & Miao sceneries and an ecological tourism town featuring pastoral scenery, folk customs and resorts. The total planning area has 254.9 hectares. Under the plan, the Phoenix Town will be turned into a pleasant resort town and a modern agricultural services base combining commerce, catering and rural tourism. The total planning area is 421.28 hectares.